Burnout is a phenomenon becoming well-acquainted with modern workers. This is especially true for hyper-active and high-pressure industries like cybersecurity, where mistakes are costly and every moment is hypercritical, these issues are tenfold. In cybersecurity, hyper-vigilance is a state of mind every minute of the day. As the pace of global cybercrime continues to grow, pressure is exacerbated even more by the global cybersecurity skills shortage as demand is outpacing the supply of security professionals who can help combat the ever-increasing threats. Cybersecurity Ventures estimated the total of unfilled security jobs is expected to reach 3.5 million by 2021. 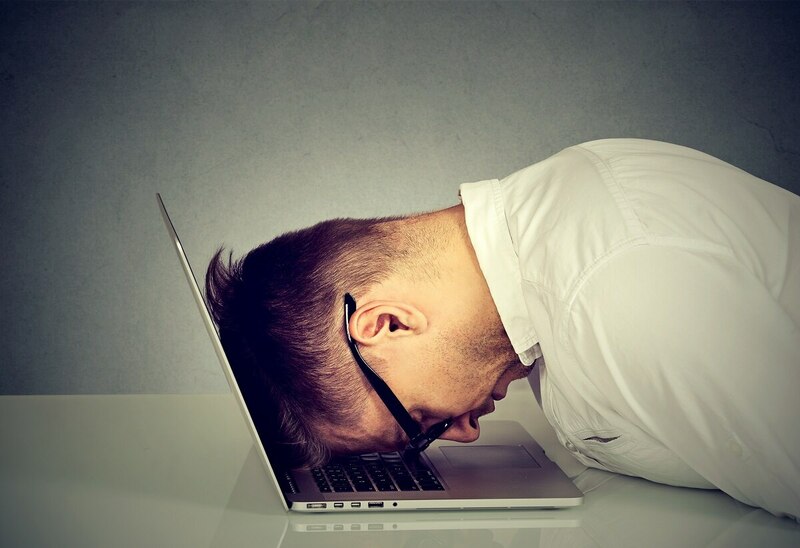 So, the question begs asking: In an industry that is constantly growing and full of high-pressure situations, how do you get your organization the help needed to disconnect from work and avoid potential burnout? Burnout doesn’t just happen overnight, and it won’t be blatantly obvious when it is happening to a team member. But there are a few telltale warning signs that can be spotted. Warning signs such as disengagement start to appear, along with overall fatigue and growing insomnia. These warning signs typically appear and can be spotted before outright exhaustion sets in. In talking to many CISOs, they have expressed these frustrations, wondering whether they want to continue being in the CISO pressure-cooker role, due to the stress and pressure building and operationalizing a security practice. As a leader, it’s important to watch your team and yourself for additional warning signs like a gradual or sudden decline in performance, an increasing number of sick days, reduced concentration and rising intensity in disagreements. It’s critical to identify the signs of burnout, but employers aren’t the only ones who need to stay in the know. You also need to train your cybersecurity team to recognize possible risk factors and let you know about them. The inherent stress in cybersecurity comes with the territory, and it’s never going to completely go away. Given that hyper-vigilance and the growing cost of making a mistake are unavoidable parts of the job, what can leaders do to help their teams? These issues run deeper than incorporating the standard approach of referring them to employee assistance programs. Assistance programs for employees can be greatly beneficial at times, but they only scratch the surface for what’s needed. It’s imperative for organizational leadership to show their people that they care about them and empathize with their daily struggles by constantly making an effort to invest in their well-being. One step that can be taken by leaders is to provide resilience training tools and workshops that will help give team members the necessary tools to better handle the stressors that come with the job. Social events and team-bonding exercises that help unplug from the day-to-day grind can be greatly beneficial for morale, as well by helping make everyone feel valued. But the most important display of support that can be expressed is simply by listening to your team members to make sure all your people understand that their contribution is valued, and that their work has a purpose. If you are acting as the sole point of contact on a project, it’s relatively easy to get burnt out. Teams are put into place for a reason, and they should always be utilized to their full potential. You need to move from a hub-and-spoke model, where you are at the center of every interaction, to a “full-mesh” model, in which every member of the team can communicate and collaborate to accomplish projects. Building a system of collaboration is crucial to making sure these teams function properly. And allowing for the ability to delegate items to help spread the workload out amongst other team members must also be taken advantage of whenever possible. To collaborate further, integrate security throughout the DevOps movement to create a DevSecOps system, one that is designed to build communication, collaboration and integration between software developers, information security officers and IT operations teams. By uncovering and remediating security vulnerabilities, professionals can solve problems before they arise, minimizing the extra burden on the security organization of having to bolt security on at the end. To help manage workloads throughout your team, promoting monotasking can go a long way. To avoid the negative effects of multitasking, managers must look for what is causing interruptions, and plan to avoid them. There could be projects that are competing for resources, dragging employees from one project to another. Or there may be ambiguities left over from planning, leading to unnecessary back-and-forth communication that becomes needed to set people back on the right track. Becoming monotask-oriented and agreeing on clear, short-term expectations will avoid distractions and keep teams honed in on the task at hand, reducing steps that aren’t needed, while streamlining workloads. Burnout will never go away entirely, especially in a field like cybersecurity. But it’s currently causing too much suffering and causing our industry to lose out on too many hardworking professionals. Thankfully, with a little more attention to detail, awareness and empathy, we’ll allow ourselves the ability to fight back against burnout — all while continuing the fight to keep our world’s data safer. Craig Hinkley is CEO of application security software company WhiteHat Security. Original report can be found on Fifth Domain.